The mission of The Yellow Door is to support to individuals with autism and their families while promoting student leadership and involvement in the Chico community. 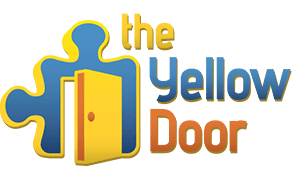 The Yellow Door came together out of two desires: to support individuals with autism and their families as well as provide volunteer opportunities and promote awareness to the Chico community. The Center for Disease Control places the current rates of autism at 1/88 children—a number that continues to increase. Individuals with autism and other disabilities and their families often fight for awareness, recognition as individuals and services that are limited. Our hope is to connect students and community members with willing individuals with autism and their families to promote understanding, personal connection and disability awareness. ​ NVCF provides financial and administrative services to donors, professional advisors and nonprofit organizations with the goal of enriching the quality of life of its community members. Since 1986, over 200 individuals, families, businesses, and community groups have established funds at the Foundation. Last year, $377,000 in funds were distributed to benefit the community. North Valley Community Foundation (NVCF) advances innovative and strategic philanthropic solutions to challenging problems, engaging donors to make our region and world a better place for all. North Valley Community Foundation is an innovative center for social venture. We provide visionary community leadership by identifying emerging challenges in our region. We address those challenges through bringing together diverse groups of problem-solvers, mobilizing resources, and equipping community leaders. We build and energize a community of engaged citizens and philanthropists who strengthen the common good. Alyssa was a beautiful and very talented girl who was diagnosed with leukemia shortly after her fourth birthday in 1996. After being diagnosed, Alyssa underwent four years of chemotherapy. Alyssa was a student at Boulder Creek Elementary School, starting there while in YMCA preschool and continuing until three weeks before her death. Although Alyssa missed her third grade year after relapsing in August 2000 and undergoing two bone marrow transplants, she returned briefly during her fourth grade year to see her very special friends. The courage she showed touched many lives and she will be greatly missed by so many dear friends, family members and those she touched in the medical profession. Alyssa will be especially missed by her friends at Boulder Creek School. After Alyssa relapsed, our lives were in turmoil. We spent over five months of Alyssa’s last fourteen months in the hospital. Most of this time was in San Francisco, far away from our family and friends. ​ It was there that the deepest friendships formed with doctors, nurses, hospital staff and most importantly families of other seriously ill children. Through the friendships with other families, we learned there was a tremendous need to help families with seriously ill children. Surviving as a family is difficult enough; and combined with serious illness, months of separation, stress, and in many cases, a family member giving up his/her job to be caregiver and reducing the income to half can be an unbearable burden. Often these families feel so lost. The strength Alyssa showed during the last year of her life has been the foundation of our family’s strength to form The Alyssa Araiza Wings of Angels Organization in her honor, and to help families of other seriously ill children. The Alyssa Araiza Wings of Angels Organization is committed to aiding families who have children suffering with pediatric cancer or life threatening illness by providing unique support in ways other organizations do not. Families served live in Shasta, Siskiyou, Trinity, Lassen, and Modoc counties in Northern California. Wings has provided $750,000 in assistance to more than 160 families since 2002.